Spring is in the air! We finally had a few warm and sunny days here in Portland. Before you know it, the summer berries and fruits will be blooming and ripening… so I figured we better share a winter infusion before it gets too late! Have you ever tried Barrel-Aged Cocktails? The concept is to make a large batch of a cocktail, and pour it into a wood barrel to impart subtlety, flavor and distinction into the cocktail. Living in Portland, it is easy to get your hands on a great barrel-aged cocktail. The best known and my favorite location for a barrel-aged cocktail is Clyde Common thanks to Jeffrey Morgenthaler. It is pretty easy to get your hands on an oak barrel. You can even get them in small sizes, like one liter. But when I stumbled upon The Barrel Mill Oak Infusion Spirals at my favorite home brew supply store, I knew I wanted to test out a different method of oak-aged cocktails. Adapting Jeffrey Morgenthaler’s Rye Manhattan recipe to a smaller scale, I added the contents to a quart jar, and then cut off a section of the oak infusion spiral and placed it in the premixed cocktail jar. After waiting the requisite five weeks, we did a taste-test comparing the Oak-Aged Manhattan to an un-aged Rye Manhattan. We really enjoyed the Oak-Aged version more, noting that it did have more depth than the un-aged counterpart. I have since learned that Tuthilltown makes a Barrel-Aged Cocktail Kit. This would be a very fun and easy way for you to try this at home. 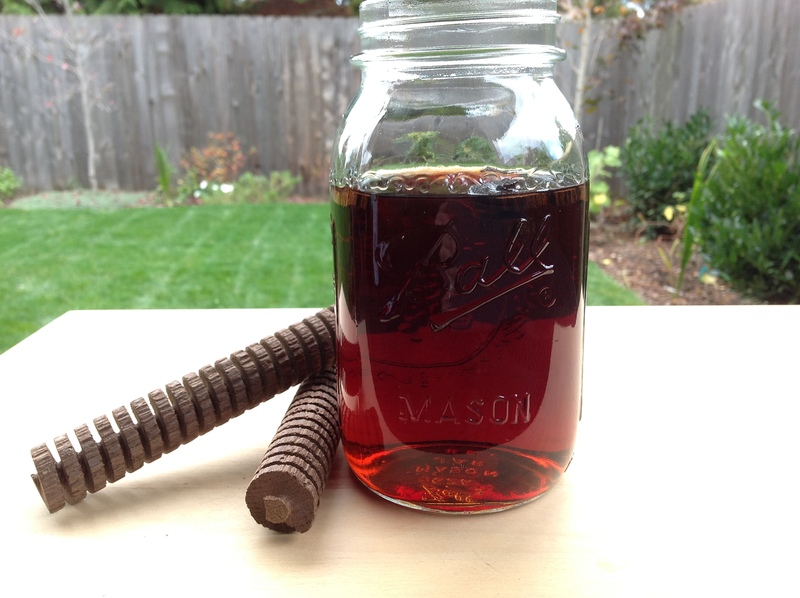 Add all above ingredients to a quart-sized mason jar and close tightly. Allow to infuse for 5-6 weeks. You can either leave it in your jar and pour cocktails straight into the shaker from there, or strain and bottle into smaller bottles for gifts. Categories: Cocktail, Infusion, Recipes | Tags: Aged Cocktails, Bourbon, cocktail, infusion, Oak, recipe, Rye, whiskey | Permalink. Infusing at home with inspiring and seasonal ingredients. Join us in making delicious cordials, liqueurs, boozy fruits and cocktails. I bet that flavor is so wonderful and complex! Just looks great. I love this idea! I don’t get out much (toddler problems), but a barrel-aged cocktail is a new concept to me. I love that I could try this at home! I have made a barrel aged Manhattan using a small 5 ltr barrel I have. It turned out very well. I have never tried an oak infusion spiral. How much do they go for? Thanks, I hope you try it! I will be traveling to Portland next week and was wondering at which supply store I might be able to find the oak spirals? I wouldn’t mind bringing them back to Vancouver for my cocktail-minded friends (and myself, of course!). Also, what level of toasted-ness did you pick up? Here’s an idea: Hold the Oak Sticks over a fire to give them a slight toasting, and then repeat. 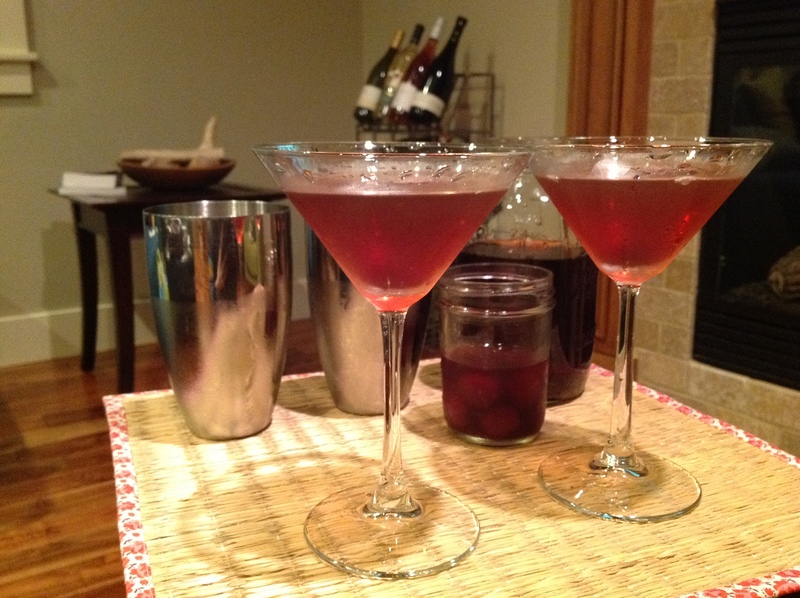 It should add a bit of a mellowing flavor to the Manhattan. Nice recipe! Hope we will see more posts from you in the near future! I just bought some oaking spirals and needed an idea of what to do with them I love this! ANy other boozefusion suggestions? Sorry for the delay in responding. The negroni is a classic aged cocktail that you could try. I still need to do more experimenting with my spirals. I am planning to make this for my husband’s birthday, but I am unsure how much of the spiral to put into the cocktail. Approximately how long are the sections of spiral that you use? Hi, I just used a small section of the spiral (like about 2 inches). I think you could even use a bit more. The flavor may be a bit stronger or infuse quicker. Just taste it regularly and take the spiral out when you think the flavor is right.